British monied interests hate Corbyn. Bank of England Governor Mark Carney disingenuously denigrated his policies, saying they’ll “hurt” poor and elderly Brits and harm the economy. Carney represents entrenched interests, enriching the few at the expense of most others, an agenda systematically thirdworldizing Britain like similar harmful US policies. Corbyn supports lifting all boats equitably – few like him in Western societies, virtually none in Washington, for sure none able to make a difference. Question Time (Prime Minister’s Questions – PMQs) is a longstanding British tradition – held each Wednesday atnoon when the House of Commons is in session, giving MPs a chance to get answers to questions they pose. Labour’s Jeremy Corbyn participated in his first PMQ session as party leader. Media response was surprisingly positive. The Telegraph called his performance “brilliant.” He’s here to stay. The BBC said Labour MPs cheered him. He asked questions submitted by voters – no simple task given 40,000 responses after requesting ideas by email. London’s Guardian called Wednesday’s Q&A “the first (ever) crowdsourced session of prime minister’s questions,” adding he “stabilised his position” as opposition leader. He reduced the volume received to his allotted six questions for Cameron. “(H)e triumphed with a set of razor-sharp (ones) focused on day-to-day lives of ordinary people,” said the Independent – issues most MPs treat dismissively. “Cameron’s lack of compassion and stark inhumanity was obvious from the outset,” said Independent reporter Liam Young. Far too little despite Cameron claiming otherwise. Rental or owned housing in Britain is notoriously expensive, notably in London. An unaddressed affordable housing crisis exists, parliament doing shamefully little to address it. Last January, thousands rallied in London against skyrocketing rents, unscrupulous landlords and lack of remedial government action. In April, a group called Just Fair issued a report, saying Britain’s affordable housing crisis dates from the 1980s. “Without decent housing, you can’t experience an adequate life in society, but now housing is seen just as an asset,” it said. His questions focused on major public concerns and sentiment – posed by ordinary people, reflecting what they’re forced to endure under anti-populist British governance since the 1970s, and inhumane force-fed austerity since 2008. 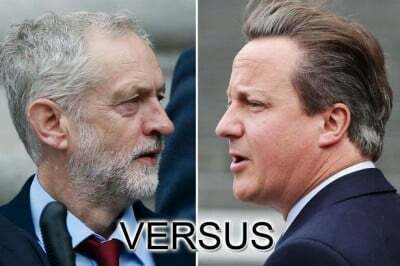 Corbyn notably bested Cameron in their first-head-to-head PMQ session – a clear distinction between a caring opposition leader and a dismissive of human need prime minister. The Independent said he began his first direct encounter with Cameron “battered and bruised by recent headlines, but…left (with) the upper hand, spurred by (being) genuinely in touch with the real difficulties and aspirations of the people of Britain” – his greatest strength against a business as usual Tory leader. He made “a ground-breaking start” in his pledge to change British politics, the first time in decades a party leader being a voice for ordinary people, putting their issues on the table for debate in hopes of enlisting a groundswell of support for real change. It airs three times weekly: live on Sundays at 1PMCentral time plus two prerecorded archived programs.